Can you imagine if Tesla were actually moving forward today with the Saudi sovereign wealth fund in a take-private transaction? Can you imagine the uproar over Elon doing this sort of major deal with the Saudis after the Khashoggi murder? Well, no need to imagine. Or at least no need to imagine a unicorn financial transaction caught up in the wake of the Khashoggi events. SoftBank Group Corp. is in discussions to take a majority stake in WeWork Cos., in what would be a giant bet on the eight-year-old provider of shared office space, according to people familiar with the talks. The investment could total between $15 billion and $20 billion and would likely come from SoftBank’s Vision Fund, some of the people said. The $92 billion Vision Fund, which is backed largely by Saudi Arabia and Abu Dhabi wealth funds as well as by SoftBank, already owns nearly 20% of WeWork after last year committing $4.4 billion in equity funding at a $20 billion valuation. Talks are fluid and there is no guarantee there will be a deal, some of the people said. 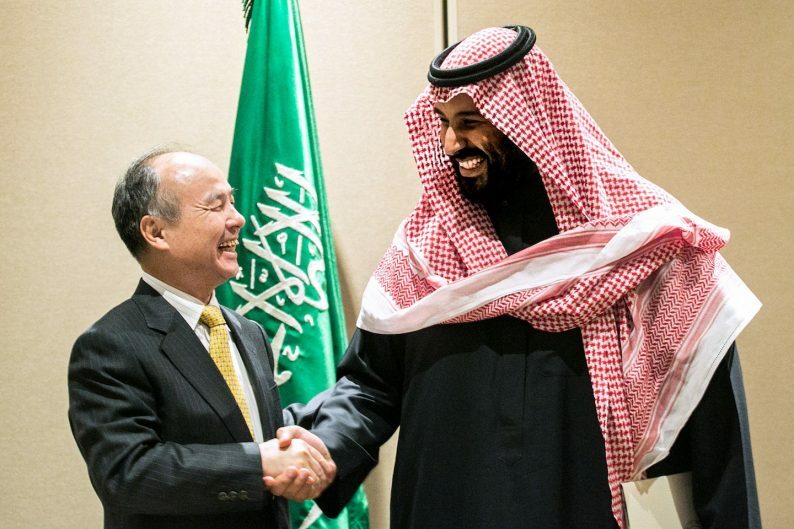 Softbank’s Vision Fund is the largest single private equity fund in the world, with about $100 billion in capital commitments, of which about half comes from Saudi Arabia. Over the past two years, the Vision Fund has transformed Silicon Valley, particularly in the relationship between capital markets and highly valued private tech companies – the so-called unicorns like Uber and Lyft and Palantir and Airbnb. Who needs an IPO for an exit when you’ve got the Vision Fund to write a multi-billion dollar check? Case in point: the deal that was shadow-announced earlier this month between the Vision Fund and WeWork, a company that SoftBank valued at $20 billion last year despite, um, shall we say … questionable business fundamentals to support that number and a subsequent bond raise. I mean, can anyone say“community-adjusted EBITDA” with a straight face? But hey, that was 12 months ago. What do you say we literally double down on that valuation and buy out all of the external investors in WeWork, so that it’s just the Vision Fund and WeWork management that owns the company? How does that work for you?